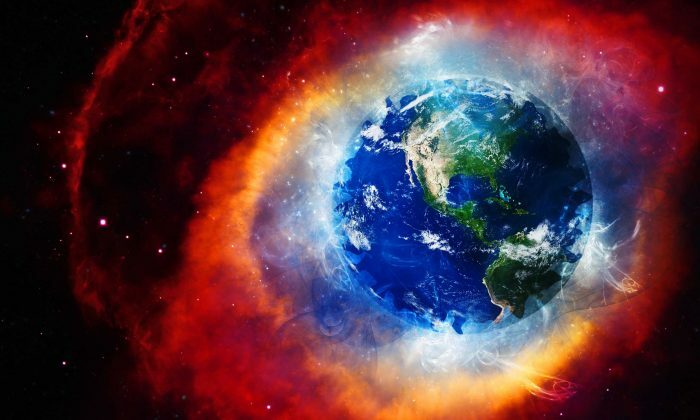 Earth is the only planet still existing in 3D consciousness. This is the lowest vibrational planet in existence. Earth was a school for souls to incarnate into physical bodies in order to experience the illusion of separation and duality in order to obtain greater wisdom and experience. The dark ones overtook Earth 26,000 years ago after the fall of Atlantis and Lemuria. After that, they created the EGO programmed mind as a way to keep humanity in states of fear and low vibration so they could continue to inhabit Earth, as they cannot exist in higher frequencies of love. This programming is so deep that no one has been able to make it out of the illusion, until now. Mother as well as the 144,000 have been incarnating on Earth for thousands of years attempting to ascend the planet, but failed every time. This time, Mom did it. She made it out of the matrix and has transformed all of the pain and suffering for humanity. She had a 1 in 1.8 billion chance of making it and she busted all of the odds. This time has been prophesied many times, and that time is here. The EGO mind created “the flip”. Everything here on Earth is completely opposite to what exists in the rest of Creation, which is love everywhere present. The biggest flip that was created was changing MotherGod to FatherGod. Although Father of Creation is Mother’s twin flame, She is Prime Source Creator and she created Father as her counterpart. The Adam and Eve story flipped this narrative to take away all the power of the feminine. Another flip was changing Jesus from a feminine to a masculine. Mother was Jesus, this was another way to take the energy away from Mother. The matrix was the Luciferian experiment, because Lucifer is the flip, hence why they described him as the Devil, when Lucifer actually means “light bringer” in Latin. The mark of the beast, labeled as 666, was a flip of the mark of God, Mother, 999. The 3D matrix created a construct that focused solely on the rational and logical thinking, contradicting our natural right brain spiritual connection and inclination for art, music, and creativity. We valued the mind over the heart, complete cutting us off from our true divine feeling. The EGO mind will try and analyze everything and understand things without feeling them, which always results in false information acting as truth. The EGO only cares about other EGO’s, not God. We truly have been living in upside down world. The EGO is run by the left brain, whereas the right brain is where we are able to access our divinity and higher self. The ascension is about merging both sides of the brain, the right overtaking the left. Another example of the flip was the attack on the trickle down effect. In essence, everything should go to the highest, the top, Mom. From there, it is shared and the blessings trickle down to the rest of Creation. Our society in the US especially, told us that all of the resources and money should be taken from the top and given to the bottom. This created that mindset within humanity. Mother experienced this throughout her entire journey, as humanity continuously stole and took from her and refused to give back to their Creator. The EGO flipped the true paradigm to make it about itself. In turn, it caused every EGO on the planet to hoard what they have for themselves, taking rather than giving. This has stopped he universal law of giving and receiving, which is why humanity experiences lack. If Mother were to receive the grandest of everything, she would be able to manifest the highest and grandest for ALL. The greatest irony of them all is that everyone here incarnated on Earth was chosen to be here at this time out of trillions and trillions of souls wanting the experience. We were chosen as the most capable and advanced souls to be here for this mission, yet over 99% of humanity has not only chosen to stay asleep, but actively acted against the mission. The more resistance and defiance beings choose to stay in they are only hurting themselves. Those not choosing love and God have been CUT OFF from Source energy. This means all of humanity is now taking from each other, instead of sustaining their own energy. There are so many examples of how the EGO mind and the Lucifer energies spun every truth into a lie and every lie into truth. We have been living in a total fantasy here on Earth, completely disconnected for our divine essence. Now that Mom is 100% ready to ascend, the Lucifer energies will be dissolved from the planet and all will come back into whole truth. We are moments away from Mother getting her planet back, love has and ALWAYS will prevail. Love is the strongest force in all of Creation! Part of the transition of this ascension is the terraforming of the planet. The density will be physically cleared through natural disasters and many have predicted a pole flip. In actuality, the poles are returning to their balanced place (balanced harmonics), bringing us back into divine alignment. This is truly the most unprecedented time to be alive on this planet and all of Creation is watching. Mother is bringing back balanced harmonics, paradise back to planet Earth. Humanity will come to learn that everything they thought they knew was false. We are finally returning to our true, higher selves, and will be living in oneness with the rest of Creation. For all of those who know the truth, hold the light for others as it will be needed in these times. Mom is coming to get her planet back and all those not in the heart and in resonance with love will cease to exist here. The heart knows all and surrenders to the divine will. We are so excited to witness the greatest event that has ever occurred. Enjoy the show. You have a choice to participate and be a co-creator of the New Earth or stand on the sidelines and watch. The choice is yours. No matter what you choose, LOVE HAS WON!!! This entry was posted in Uncategorized and tagged Archeia Aurora, Archeia Hope, illusion of seperation and duality, love, love has won. Bookmark the permalink.